Joan, you saw the last picture, they were really a lot !! He thinks that the country that organizes this festival is Melpignano, a town of only 3,000 people. Ciao Daniela, As you know I am not Italian and I have never heard of Notte Della Taranto, nor have I heard of LP.. I saw some clips including the ones you have so kindly translated for us. There was such a variety of music, but music is the bridge that allows us to come together. It was a fascinating evening, and a it looked as though everyone enjoyed themselves. I was particularly interested in the last song “Kalinifta”. The word is Kalinicta which means Good Night in Greek. They were singing in Griko which is a language spoken by the Greeks that still live in parts of Sicily. It is a combination of Greek and Italian. I loved it. Thanks for posting. Hello RoseMarie, certainly Southern Italy has had a great Greek influence, and Puglia I think is the closest landing point between the two cultures. Kalinifta, is the song with which the Notte della Taranta traditionally ends, as you said is a serenade in grieco, and is considered a popular heritage of greece-salentina. It’s really true, music unites different cultures. As for LP, I did not even know her (she looks like a male in the picture) but you listen to her song LOST ON YOU, I think you know her, without knowing that she is singing. This no doubt relates to their nationality…..it would probably be exciting to perform in this event in their homeland…..Why not? The exposure is always good. These three could probably add another element to this platform. 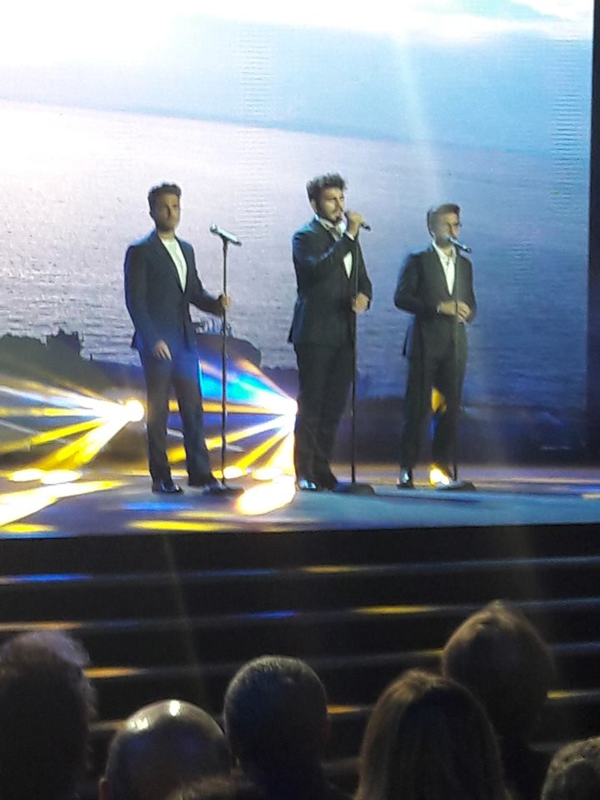 IL Volo voices would thrill the crowds wherever they are. …..only their people know what will take place…..wherever they go the crowds follow their unique style and voices. Just do not lose the love and classic music you bring to the many who have followed you thus far…..you are beautiful you are love. Rose Marie Lomonte, I do not know, if next year, really IL VOLO will participate in the NOTTE DELLA TARANTA, but if it does, it will surely be an enrichment for both, for the people who will listen to them, maybe for the first time and for the our kids, immersed in a culture and a rhythm, certainly different, but with a very special charm. Hi Jana, I was a week at the seaside in Tuscany, I was in a beautiful pine forest, where, however, there is not much internet connection, I read your posts, but I could not comment. The holiday was short but beautiful. I missed you all !! Daniela, I have not heard of this festival before. For me there were too many people and too much noise. Jill, in that party it is impossible to have silence, everyone is there to dance and sing, but this is also its charm. I too am very happy to see that Ignatius’s hair is back as I like it. Of course there was Michele, I remind you that he is of Apulian origins, it is his birthplace !! Daniela, I have not heard of this festival before. For me there was too many people and too much noise for me to be able to enjoy it. I think it was Piero who was asked “ too many people? Tell me Daniela, now we don’t hear from Marie anymore, does that mean Ignazio is up for grabs? I’m blaming it on my iPhone! Jill, do not worry, I wrote a comment from Tuscany and I did not see it published. I thought it was because I used the phone and not the usual pc. After various tests I desisted. These three talented men have thrilled audiences all over the world, why not in Puglia. I bet given the challenge they would come up with a concert that would dazzle all!! Puglia would fall in love with their amazing voices, and their adoring charm. A win win for all!! Hello Carole, I believe that Puglia would be fascinated by IL VOLO. We cross our fingers and hope that next year they will be guests among singers! I completely agree with you Eleanor, IL VOLO forever. Very well Loretta, stay with us and follow us, you will see that there will soon be new news !! 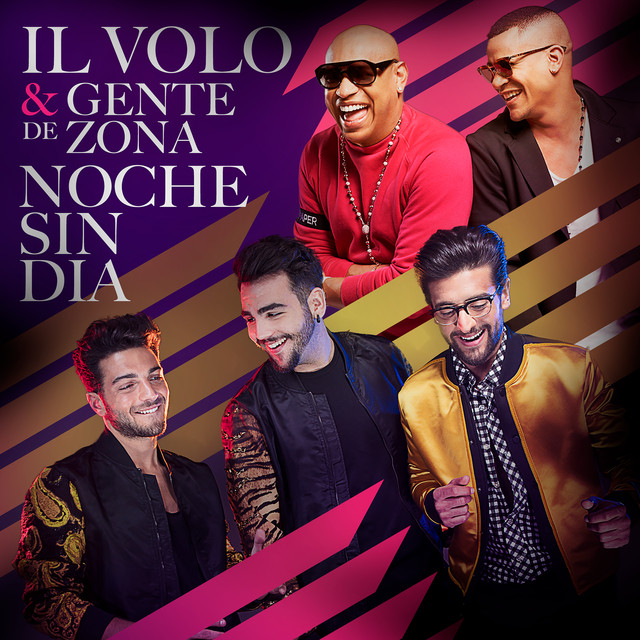 Thanks Rosemarie & Jana for bringing me back to this site to read about what is happening here & talk about my precious sweethearts especially Ignazio my hearthrob.